Today is such a special day in honor of moms everywhere! 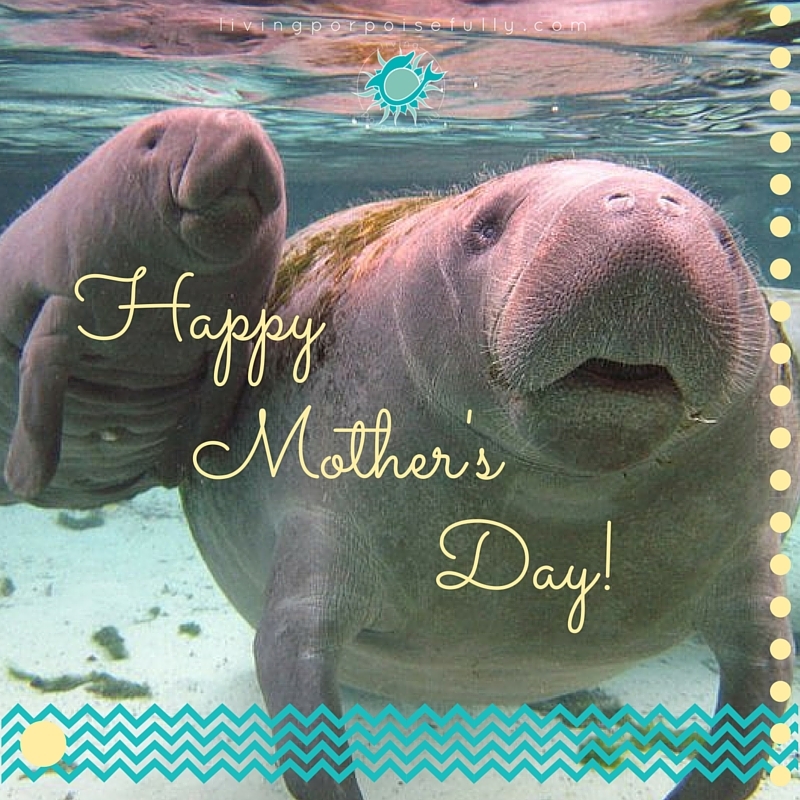 We thought, what better way to give moms a cheery greeting than with a manatee mom and baby!? We both have the incredible fortune to have stellar moms, and are so grateful to them for putting up with us and helping to shape who we are today (yes, we couldn’t resist the shout-out!). If you get to see or talk to your mom this Mother’s Day, take the chance to give the love and affection she deserves. Or maybe you might be remembering your mom (or special aunt or grandmom), so take a moment to think happy thoughts and appreciation for precious times past. If you’re a mom yourself, relish in the day, treat yourself, and feel the much deserved love and affection for all that you are and do. Enjoy, and have a happy Mother’s Day! Love it! Thank you! Happy Mother’s Day to all!